Aly Dosdall: i'm a finalist! So thrilled to share that I'm a finalist in the 2015 Craftsy Blogger Awards for the paper craft instructor category. 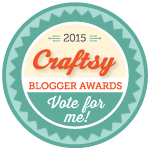 It's an honor to be a part of the Craftsy community, and to be included with these finalists. 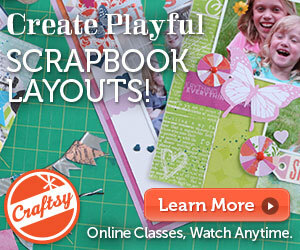 Visit the Craftsy blog HERE to find out who the other finalists are and vote for your favorite! Vote by Wednesday, 1/30 at 11:59 pm MT for your vote to count. And, to celebrate I'm offering a 50% off discount for my class, Celebrating Everyday Moments: Playful Scrapbook Layouts. If you'd like to register for half price, CLICK HERE!